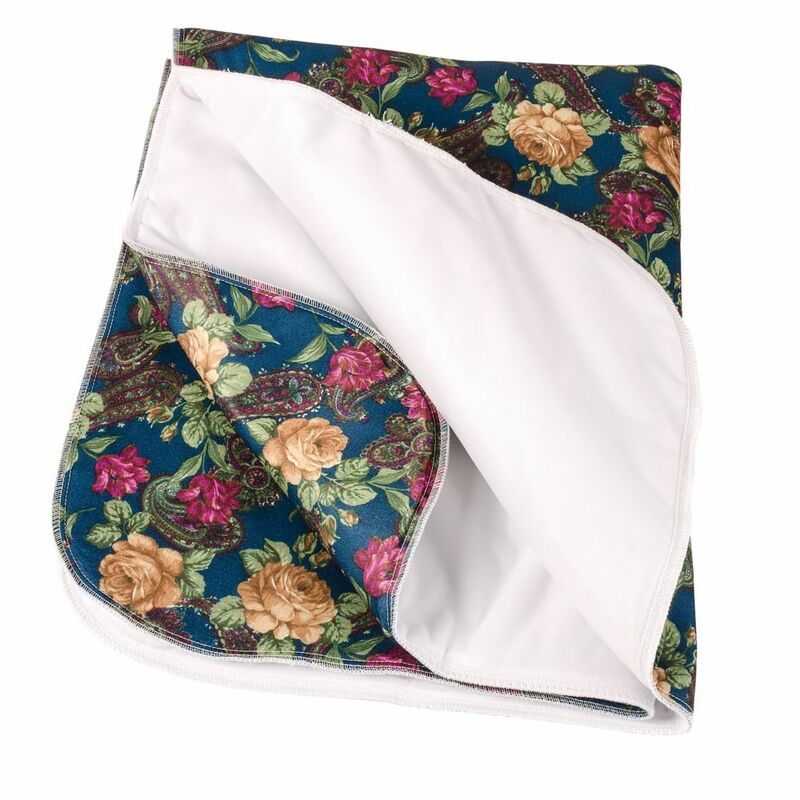 Pretty floral pattern seat pad looks nice and helps protect furniture from small amounts of moisture. The 100 percent brushed polyester top surface feels soft like flannel against your skin. The bottom layer is highly absorbent and water resistant. Get twice the comfort with this twin pack of pillows from Simmons. The ultra-soft and breathable 233-thread count cover is made from 100% cotton and has been filled with a hypoallergenic polyester fill. This pillow has been certified asthma and allergy friendly by the Asthma and Allergy Foundation of America, so you can relax knowing that no potential allergens will get between you and a great night's sleep. This product has been filled and finished in Canada with imported materials. To clean, simply machine wash and dry. Seat Protector Bed and Furniture Protector Pad When you want to protect a piece of furniture from moisture, this pretty floral pattern seat pad is the answer. It's ideal for protecting wheelchairs, regular chairs, beds and even pet beds from small amounts of moisture. The top surface is made of brushed polyester and feels soft like flannel against the skin. The bottom layer is highly absorbent and water resistant. It's reusable and machine washable. Seat Protector Bed and Furniture Protector Pad is rated 5.0 out of 5 by 1. Rated 5 out of 5 by Marty from I would highly recommend this Duro-Med Protective Bed Pad With tapestry Print. I wish this same ... I would highly recommend this Duro-Med Protective Bed Pad With tapestry Print. I wish this same product was offered in a twin-sized bedspread. It is very pretty and saved my mattress many times over from my Lil' Pup who pees on beds.